Pre-workout blends have evolved from workout luxuries, to performance necessities, and that’s why companies like Dymatize want to capitalize on the potential sales by putting in as much as they can on one serving. Just take Dymatize’s very own M.P.ACT as an example – it contains BCAAs, Creatine, Nootropics, Stimulants, Glutamine, and even Nitric Oxide boosters to make its case as a formidable choice for your next PWO. 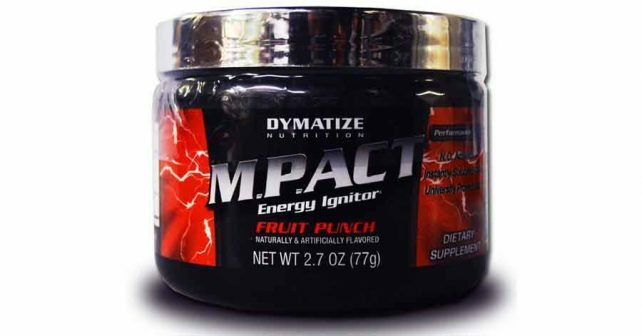 Loading up its ingredients would definitely make Dymatize M.P.ACT one of the best choices in the market today. However, a careful study of its ingredient profile might reveal something that is painfully obvious – you can’t stuff that much ingredients in a serving without sacrificing quality and dosage. In this review, we’ll take a closer look into Dymatize M.P.ACT to see if it can meet our expectations. Dymatize M.P.ACT contains Agmatine Sulfate, a nitric oxide booster which dilates blood vessels to allow more blood to flow through the arteries. However, Agmatine Sulfate is not compatible with many supplement, which includes Creatine – an ingredient also included in Dymatize M.P.ACT. The incompatibility of Agmatine and Creatine is under the assumption that creatine positively influences NMDA signaling, and Agmatine works in the opposite manner in the same site. Using both at the same time could be antagonistic for muscle growth and NO boosting. Although marketed as a pre-workout supplement, Dymatize M.P.ACT is actually an all-in-one supplement with elements that combine pre-workout, intra-workout, and post-workout supplements. People who use Dymatize M.P.ACT are under the impression that they have everything they need to build muscle, but in most cases, additional supplementation is needed. We measured the effectiveness of Dymatize M.P.ACT based on the best muscle-building supplements on the market today. The bread and butter of any PWO is its energy blend, and in Dymatize M.P.ACT, that blend is composed of L-Taurine, Tyrosine, Glucoronolactone, Caffeine, Rhodiola Rosea, Rutin, Green Tea Extract, and Quercitin. With this blend alone, you can expect to increase focus and energy, primarily because of its tyrosine and caffeine content. Its muscle-building component however, which is composed of BCAAs, Creatine Monohydrate, Carnosyn, Beta-Alanine, and Glutamine is packed into a 5-gram blend which generally makes each ingredient below the recommended dose. Creatine Mono alone requires about 5 grams intake per day, as well as 7 grams of BCAA. If you’re planning to take Dymatize M.P.ACT, better take post-workout supplements to meet your nutrient requirements. All in all, Dymatize M.P.ACT gives you a little bit of everything, and that’s not something to hate about the product. You would still need to take other supplements, especially post-workout supplements to meet your nutrient requirements, but you still have a fantastic energy and focus blend that boots you up prior to your workout. The only problem with Dymatize M.P.ACT is Agmatine Sulfate – they could have used a better ingredient in L-Arginine as a NO booster, just like what the best muscle building supplements like NitroGenix 365 use. L-Arginine is by far a more-superior NO booster, and it doesn’t have stacking issues like Agmatine Sulfate.